The best kept secret in the flooring industry is about to be revealed. Here is an illustration from Quick-Step that splits the floor into separate layers. Although laminate flooring is constructed using wood fibres much of it is made up of recycled left overs and off-cuts from wasted wood materials. Unlike solid wood flooring that is pretty much good quality blocks of natural wood, laminated floors are made from wood particles that are fused together with resin to create a high density fibre (HDF) board. 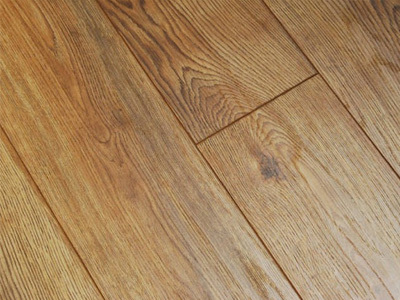 Laminate flooring can therefore be classed as an economical and environmentally ethical flooring option that doesn't necessarily require the cutting of new trees for its production as there is plenty of recycled or unusable wood in circulation. This fact doesn’t mean you can’t achieve a natural wood effect on your floors. With today’s digital print technology you couldn’t tell you are walking on a computer generated image (CGI). This brings is to the next question on how design and print technology plays a part in laminate flooring construction. Here is the surprising answer and for many of you this will be surprising but by all means don’t let it put you off from buying laminate flooring for your home. Laminated floors have a layered construction, most commonly 4 layers each with an individual purpose. Protective Layer: This is a very thin clear film that is that provides a reasonably waterproof surface which resists the staining of the layer beneath it. This creates a protective barrier and helps to increase the wear and tear from the surface. Design Layer: This is the layer where the flooring gets its looks from. This layer is actually a photographic film that may be enhanced further to achieve the desired look of natural wood or stone. Core: This layer comprises most of the floor and provides the stability and thickness. Made from HDF constructed from wood particles provides some level of natural composition. Backing: This bottom layer helps the floor to stay flat and balanced preventing the core from warping and it also providing additional protective layer. How does laminate look so natural? 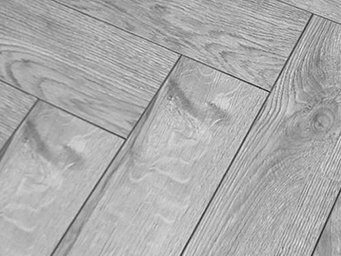 Laminate flooring has never looked more natural than ever because of improved designs, innovative manufacturing processes, photographic and print technology, and of course the innovation of 3D printing in the recent years making it effectively possible to print within grooves and ripples to replicate the real deal. The matt and gloss print variations with the intricate finishing helps to create different effects when light hits the floors giving a defined and natural looking pattern to mimic the real wood. To achieve the best results our manufacturers use a series of continuous high resolution photos printed on good quality super fine photographic film carefully positioned onto a grooved HDF board.